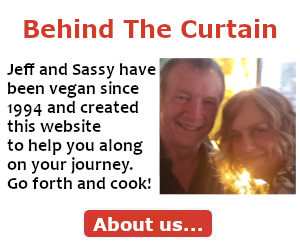 Looking for a yummy vegetarian wrap? 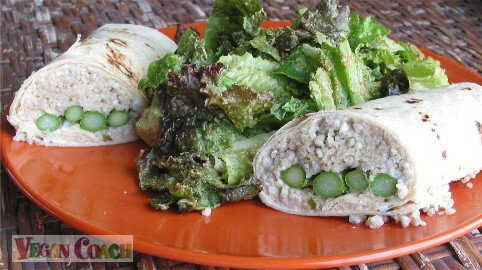 These Buckwheat Asparagus Wraps fit the bill. They're easy to make, light yet filling, and absolutely scrumptious thanks to the tender asparagus and the chewy buckwheat. OMG! You are going to love these. 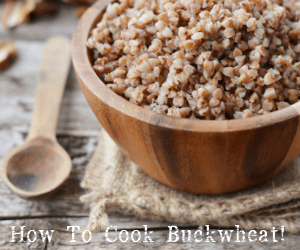 If you have never cooked with buckwheat before, you're in for a treat. Contrary to what you may think, buckwheat is not actually wheat. And for those who are sensitive to gluten, buckwheat is gluten-free (but please note this recipe is not gluten-free). Buckwheat is high in fiber, and has a delicate flavor. You may have encountered toasted buckwheat, better known as kasha, which has a nutty flavor. 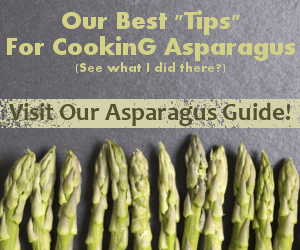 However, for this recipe, I recommend buckwheat so you do not overwhelm the flavor of the asparagus. 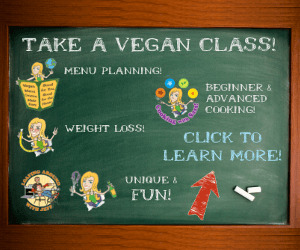 And, sigh, my favorite vegetable, asparagus. It is in-season as I write this and at its juiciest and most inexpensive too. Splurge for the organic, since the flavor is just so much better than conventional -- plus, it's just a one-season-a-year splurge and SO worth it. Yummy. Give the buckwheat a quick rinse in a colander. 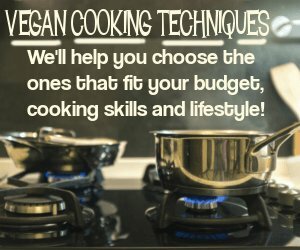 Bring 2 cups water to a boil in a saucepan. Add the 1 cup of buckwheat. Stir. Cover, lower heat, and cook until al dente (tender, but with a bite), about 7-10 minutes. Turn off heat, and let sit for 5 minutes. Fluff with a fork. You should end up with a filling that is slightly sticky and will hold its shape well once rolled into the tortilla. You can also pre-soak your buckwheat overnight in double or triple the water (which helps with digestion). Then drain and follow instructions as above, except you'll use less water (try 1 cup and add more if needed to cook thoroughly, or drain excess water once cooked). Step 1: Make buckwheat (instructions above). Flavor as desired (I kept it simple with a little Tamari, garlic powder, nutritional yeast, salt and pepper). Keep warm until ready to use. Step 2: Steam asparagus. While asparagus cooks, whisk remaining 5 ingredients in a small bowl. Step 3: Lay tortilla on a large plate. Spread 1/2 the mayo mixture (or to taste) over the tortilla. Spoon 1/2 the cooked buckwheat down the center. Top with 4 steamed asparagus spears. Roll tightly. Repeat with the other tortilla.